A native of Greenville, Ennis Fant attended the public schools of Greenville County. He is an honor student graduate of the University of South Carolina where he obtained a Bachelor of Science Degree in Chemical Engineering. While working in research and development in the corporate arena, he was awarded two patents. At the University of South Carolina, he served as President of the Theta Nu Chapter of Alpha Phi Alpha Fraternity, Inc. and was the Southern Region College Brother of the Year. He did his theological studies at Erskine Theological Seminary and The Southern Baptist Theological Seminary. He currently services as Senior Pastor of Pleasant View Missionary Baptist Church in Powdersville, SC. He also serves as an adjunct professor of New Testament Studies at N.J. Brockman School of Theology in Greenville, SC. He is a member of the Baptist Ministers Fellowship of Greenville and Vicinity, the South Carolina Education and Missionary Baptist Convention and the Progressive National Baptist Convention, Inc.
Dr. Fant is a former member of Greenville County Council and the South Carolina House of Representatives. While previously serving on Council, he served as Vice-Chairman and Chaired the Finance Committee. As a current member of Council, he serves on the Planning and Development Committee and on the Public Works and Infrastructure Committee. He has also chaired the Affordable Housing Ad Hoc Committee. Additionally, he serves on the Board of Directors of the Appalachian Council of Governments and the Greenville Area Development Corporation. 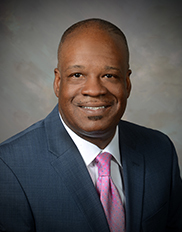 He has previously served on the boards of Greenville Technical College, The Greater Greenville Chamber of Commerce, the Urban League of the Upstate and the Phillis Wheatley Association. Also, he is an active member of Gamma Gamma Lambda Chapter of Alpha Phi Alpha Fraternity, Inc. in Greenville, SC. Being bi-vocational, he has had a long career in the Real Estate and Insurance industries; protecting families and providing homeownership to strengthen our communities. Dr. Fant has two children, Courtney Fant who is graduate of the Honors College at The University of South Carolina and currently a medical student at the University of South Carolina School of Medicine – Greenville and Ennis Fant, Jr. who is attending Greenville Technical College.